This angular design is terrifically flattering on a variety of figures. 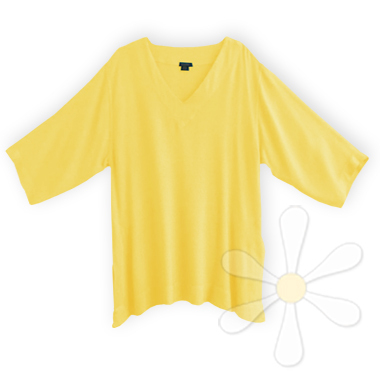 It has a sloping A-line bodice, a V neckline and deep 14" side slits for ultimate comfort. Treat yourself to extra-special fun... you deserve it!